It has now forced the closure of all 111 schools and made 975 people sick. 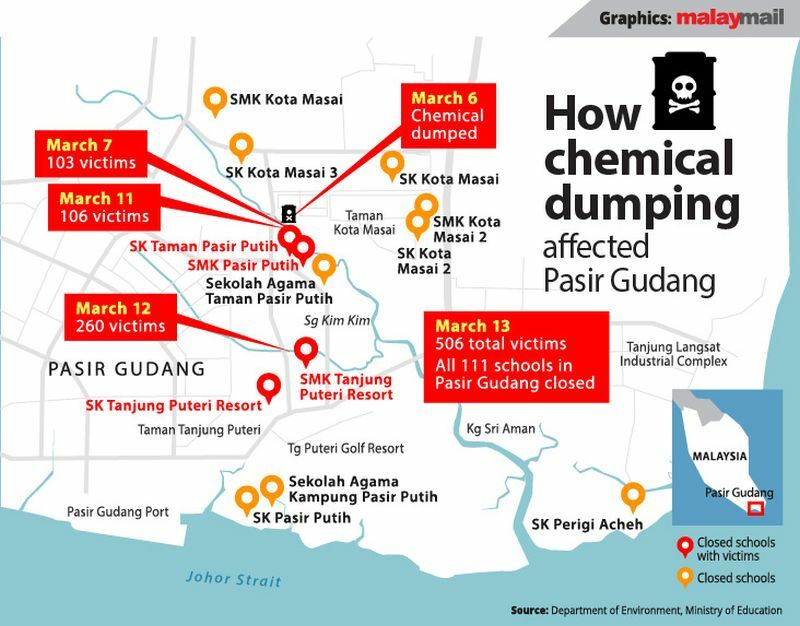 While Johor Menteri Besar Osman Sapian insisted yesterday, 13 March, that the situation in Pasir Gudang, caused by the illegal dumping of toxic waste into Sungai Kim Kim, doesn't warrant a need to declare a state of emergency, as of today, 14 March, the catastrophic crisis continues to wreak havoc. It has now forced the closure of all 111 schools in the area and made 975 people sick. According to a report in The Star Online, some students experienced breathing difficulties while others fainted. There were others who complained of headaches, experienced vomiting, and a few others suffered sore eyes, dizziness and chest pain. One of the hundreds of the students who fell sick being brought to a community hall for treatment. 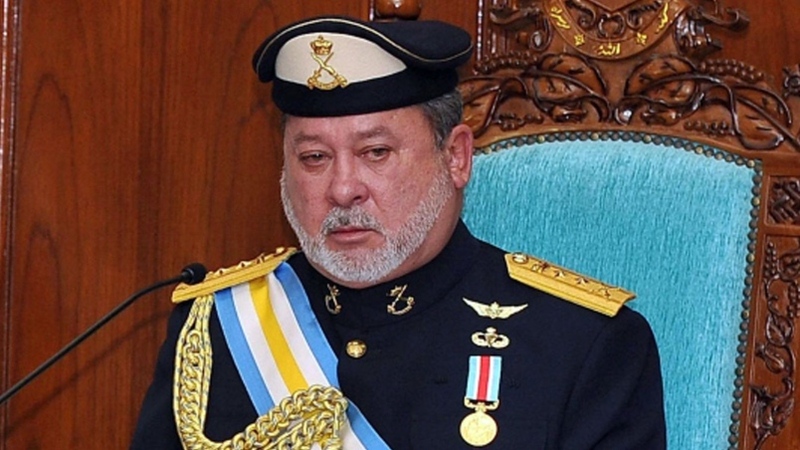 "HM The Permaisuri of Johor, Raja Zarith Sofiah Binti Almarhum Sultan Idris Shah, said Sultan Ibrahim is deeply saddened by the tragedy. "The contribution is for the fire and rescue department, police and other government agencies to purchase whatever is necessary to help victims," Permaisuri of Johor Raja Zarith Sofiah Almarhum Sultan Idris Shah said. The Sultan was deeply moved when he heard an audio recording of a crying man pleading for help for his child, she added. According to Energy, Science, Technology, Environment and Climate Change Minister Yeo Bee Yin, results from the samples sent to the Chemistry Department shows they contain organic solvents such as delaminate. "This is used in tyre pyrolysis," Yeo said in this in the Parliament today, explaining that pyrolysis is a method for recycling old tyres by heating up whole or shredded tyres in a reactor vessel, according to a report in The Malaysian Insight. 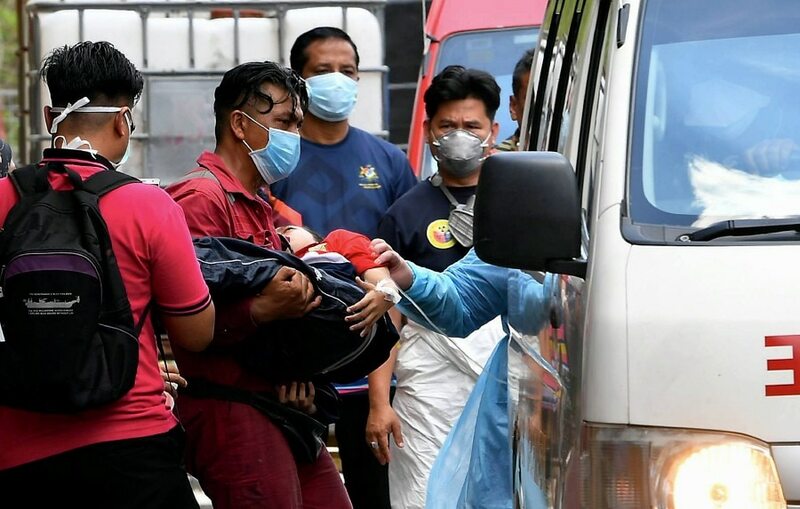 The reason behind it is that Johor Health, Environment and Agriculture Committee chairman Dr Sahruddin Jamal said the Office of the Deputy Public Prosecutor has asked the Department of Environment to obtain additional information on the matter. 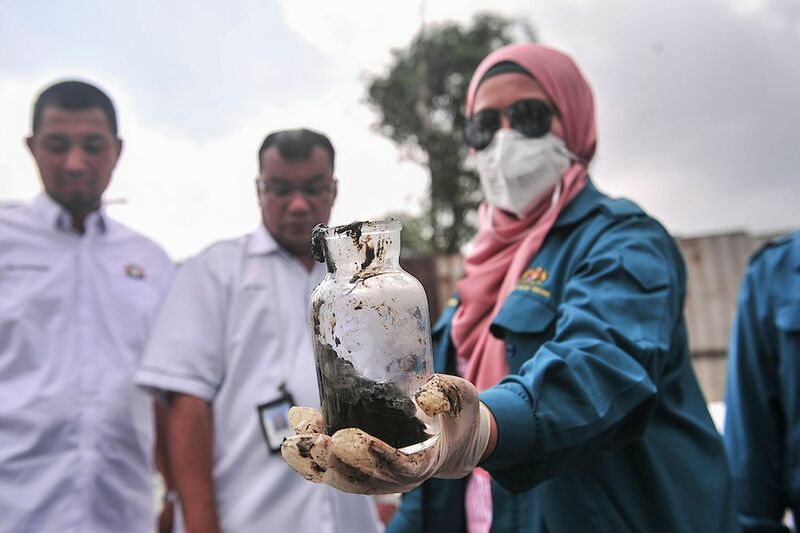 The suspect was to be charged at the Magistrate's Court in Johor Baru this morning, 14 March, under Section 34B of the Environmental Quality Act 1974. If found guilty, the suspect will only be jailed for five years max or fined RM500K. 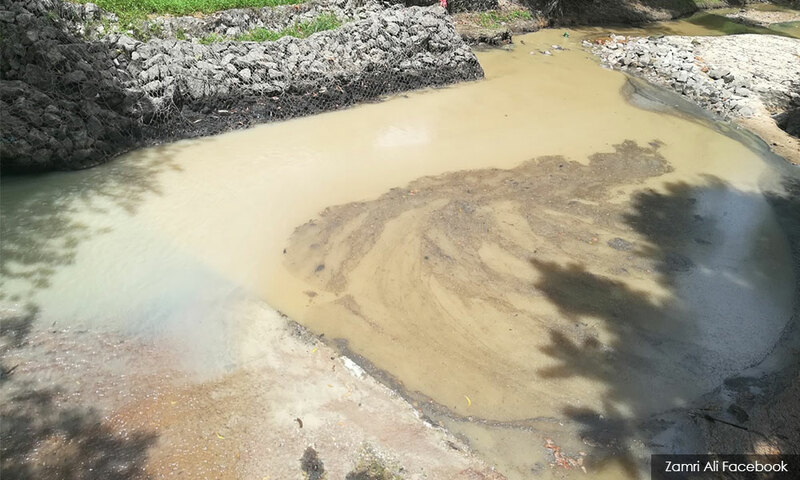 According to Johor health, environment and agriculture committee chairperson Sahruddin Jamal, the work will involve cleaning up a 1.5km stretch of the river. "Several contractors have been appointed to carry out the cleaning work immediately so that controlling measures can be taken," Sahruddin said. Malaysiakini reported him adding that a security command centre has also been set up at the Taman Pasir Putih multipurpose hall while the disaster management operations centre is at Level 3 of the Pasir Gudang Municipal Council's Aqabah Tower.